‘Steephurst’ was built c.1882 for stockbroker George Thompson [1854 -1925]. He was the son of Thomas James Thompson [1830-1917], co-founder of the Sydney Stock Exchange and owner of ‘Malvern’ (then located on The Boulevarde Strathfield). Thompson was the grandson of David Jones and nephew of Sir Phillip Sydney Jones of ‘Llandilo’ (now Trinity Grammar Preparatory School). He married Sophie Mate and eventually relocated to Albury to manage his father-in-law’s business, T E Mate & Co, one of the largest retailers in the Riverina. He was twice elected Mayor of Albury.Thompson was an Alderman of Strathfield Council from 1885-87. Thompson was one of the original petitioners to establish the Municipality of Strathfield in 1884 [refer Supplement to NSW Government Gazette no. 488 25th September 1884]. He is presumably one of the organisers of the petition, authorising the signatures, as his name appears ‘George Arthur Thompson, of Sydney and Redmyre, broker’. The Government Gazette [no.292 Monday 20 July 1885] reports that the election was held on 19th August 1885 and the Alderman of the first Council of Strathfield Municipality was elected, including George Arthur Thompson, ‘sharebroker, Railway-street’. A further meeting was held on 31st August 1885 at James Inglis’ home ‘Craigo’ to elect the first Mayor George Hardie and appoint the first Town Clerk, Frederick George Bennett. 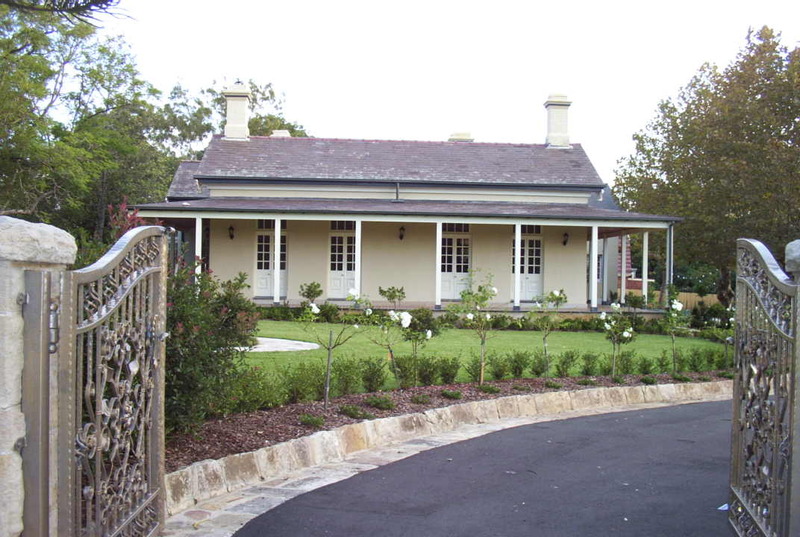 Until the current Strathfield Council Chambers [cnr Homebush and Redmyre Rds] were opened in October 1887, Strathfield Council Chambers operated from the homes rented by the Town Clerk, Fred Bennett. For a few months in 1886, Bennett rented rooms at ‘Llanelly’ at 5/- per week. The 1886 Sands Sydney Directory notes the following on Railway-street: ‘Thompson G A ‘Llanelly’; Bennett, F G, council clerk; Council Chambers – F G Bennett, council clerk’ [Sands 1886]. Steephurst was later owned by prominent businessmen Walter Friend [of W S Friend & Co, Hardware Merchants]; Charles Carey Lance, Sydney Harbour Commissioner and Alexander Faulkner Waters of Sydney retailer Waters & Co.
Lance’s daughter Sylvia was the Australian Open Women’s Champion in 1924 and a prominent tennis player in the 1920’s and 1930’s both in Australia and the United States.